It is time to transform the Business Case model that is used by companies for approving projects. I have seen hundreds of business cases. I even wrote a book on how to develop them. But I am now convinced there is a critical weakness in them. The customer is usually missing. A project business case normally will evaluate a project opportunity by comparing the benefit and the cost through a Return on Investment (ROI) formula. Most companies now incorporate the best practice of also evaluating whether the project is aligned with the business strategy. If the project is aligned and the benefit is greater than the cost, the business case recommendation is to do the project. This is a company-centric approach. The customer is missing from this evaluation. Sure, sometimes the business strategy may be to increase customer satisfaction or grow market share and revenue, but the measures used are always internal measures. The business case evaluates the cost to the company and the benefit to the company. While I agree that those are important, I also believe that a better decision will be made when a company includes the consideration of the cost to the customer and the benefit to the customer. Business transactions require a customer. Until an individual or organization has decided that they value something more than the money in their bank account, there is no business transaction. (I am ignoring for the time being the coercive power of government to take money through fees, fines and taxes.) The business value chain starts with a customer decision and ends with the fulfillment of the customer order and payment for the product or service. It is only when the chain of events that makes that happen occurs that value is created. Creating new products that no one wants does not create value. Offering services that no one needs does not create value. Building facilities and systems that do not improve customer service or customer satisfaction do not create value. These may create assets that we put on a balance sheet, but non-performing assets have no value. To fully understand the business value chain, you must include the customer’s actions and decisions in the process. If you expect the customer to purchase something because of this project, the value chain should start with the customer condition which results in the recognition of the need for the product or service. The business value chain should then proceed through the steps and decisions made by both customer and your organization to get to the point of a sales transaction. Depending upon the type of product or service, the business value chain continues through the steps of creating and delivering the product or service, including work done at your suppliers. Of course you need to include the final invoice and payment at the appropriate step. Even then the business value chain is not complete. It should include the initial use of the delivered product or service and the resultant customer satisfaction or irritation as they experience the product or service. Only when you have fully mapped and understood the business value chain will you understand where value is created or potentially where value is destroyed. Otherwise, you may get a local optimization that improves value at one step yet decreases the value at many other steps. A classic example of this is the phone systems where the caller has to listen to a menu of options and then select a number. This reduces cost for the company operating the phone system, but it can be a problem for customers. I have been on several systems where I went through multiple layers of selection, but there was no suitable option for the purpose of my call. Eventually I get to a point where I am put on hold for many minutes waiting for a live body to pick up the phone. This has been so annoying that there are several business that I refuse to do business with now because of this system. So let’s go back to the business case. How does a company account for the value to the customer? How do you calculate ROI when the “return” for the investment does not occur in your company? I suggest that companies calculate two ROIs for each project, the internal ROI and the customer ROI. The internal ROI would be calculated in the same way that a typical business case ROI is calculated. Use internal costs and internal benefits to calculate whichever method your company normally uses, such as the NPV, breakeven, or payback method. But a second ROI should be calculated and this is the ROI for the customer. I recommend that this be done for a single customer and that the calculation be a “static” ROI instead of the dynamic “ROI” calculations, like NPV and payback that include a time factor in the calculations. The static ROI would be the net benefit divided by the cost to acquire, expressed as a percentage. The most difficult portion of this ratio will be to calculate the net benefit. 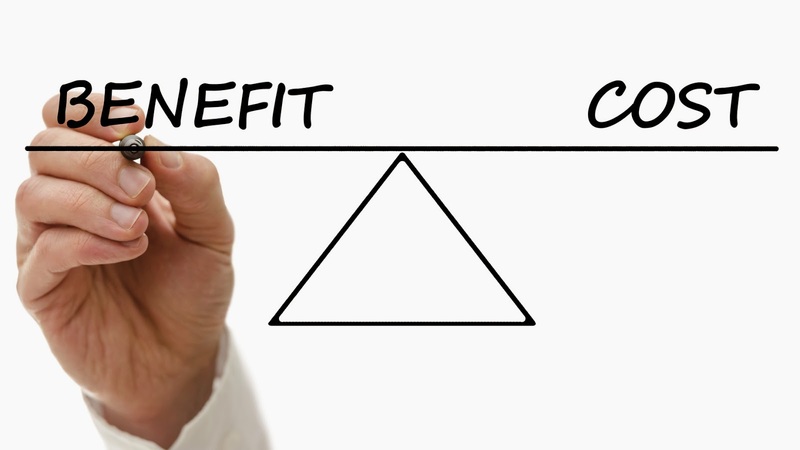 Some types of customer benefits are “hard benefits,” meaning they are measurable and can be easily converted to a monetary value. This would include productivity savings or performance improvement. But some benefits are “soft benefits,” which are much harder to quantify and may vary significantly from customer to customer. This would include brand affinity, peace of mind, or societal responsibility. The only ways to place a value on these is to talk to the customer. It is likely that there will be different customer ROIs for different customer segments. I’ll discuss how to do this in a future blog post. With internal ROI and customer ROI, a company can make a better decision about a project. High customer ROI will likely lead to enhanced project impact and future benefits for all parties. A low customer ROI will likely lead to reduced project impact and alienation from your customers. Open innovation has been a fad in industry the last few years. There are consultants who are doing seminars and writing books about it. (Heck, I’ve even addressed it in some seminars that I teach.) But when you peel aside all the hype, it is not that different from how many companies have approached innovation for years. But here is the problem. While open innovation isn’t different from what has often been done, it is often done badly. Innovation has been poorly managed for years and we are finally waking up to that fact. 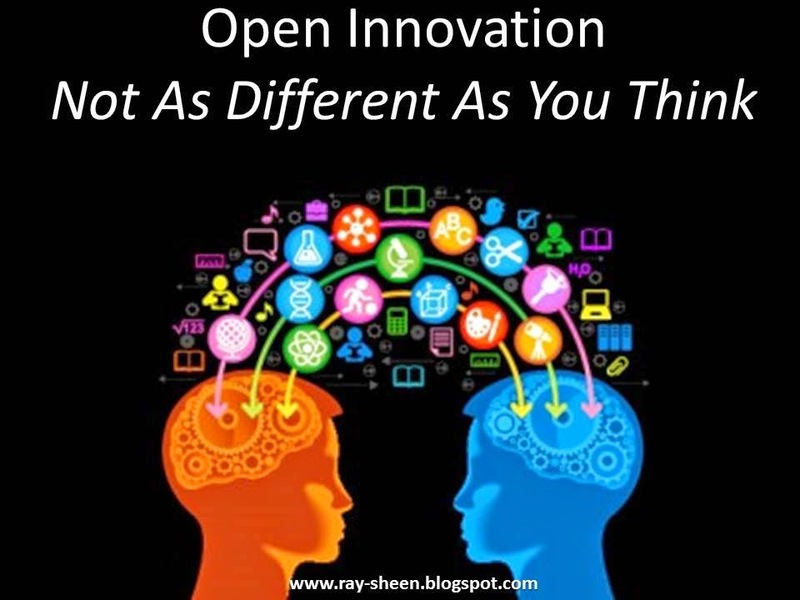 Let me take a minute to clarify what I include in the term “Open Innovation.” The term has been defined by many individuals in many different ways. For my purposes, I will go with Henry Chesbrough’s definition, (1) “Open innovation is a paradigm that assumes that firms can and should use external ideas as well as internal ideas, and internal and external paths to market, as the firms look to advance their technology.” Let’s look at how innovation is often managed today in the areas of using external product ideas, external process ideas, and external paths to market. A driving principle in product development is to address your customer’s needs. This idea has been embedded in innovation efforts for hundreds, if not thousands, of years. The marketing departments in the 21st century industry conduct focus groups and market research to determine what the customers want. They then turn to R&D and ask them to create it. In some cases, companies will even let the engineers and scientists talk with the customers to better understand the potential use and application. Occasionally, customers will even adapt a product to create an entirely new innovative productive category. An example of this is the mountain bike industry. Mountain bikes, as a market segment, did not exist in the 1970s. Some cyclists started to modify ordinary street bikes and as their numbers and enthusiasm grew, the bicycle manufacturers finally took notice and began to build the new style bicycle. The challenge for most companies with respect to open innovation of new products is the old “not invented here” syndrome. The product managers and technologists have invested time, energy, and sometimes their reputation on their products. Their job is to create innovative new products. If someone else comes up with the idea, it is perceived as a threat to them. They have no ownership in the new innovation that is suggested by the customers. They are willing to embrace the customer needs that “tweak” the current product or that align with the innovation projects they have underway. However, there is often resistance to any truly novel product idea that comes from a customer. So what should a business do? A significant portion of the innovation effort (that means budget and people) should be focused on customer innovation. This is not to exclude internal innovation efforts, but rather to create a parallel path that will intersect with selected product and customers. This is an organizational response to the challenge of open innovation for new products. There needs to be an advocate in the business for the open innovators; an advocate whose primary purpose and measurements are the identification and adoption of open innovation ideas. Many companies are already using a form of open innovation for process innovation. Companies benchmark their processes for speed, cost, and quality against competitors or industry norms. When they see a performance gap, they hire a company to fix their process. This may be an IT firm to bring in a new application. That is the reason many companies transitioned to ERP. This may be a process automation firm to re-engineer a manufacturing or business process. Often the entire process is outsourced to a company that specializes in that process. Numerous companies have outsourced their entire delivery process to companies such as FedEx and UPS. This is open innovation. A company is using an innovative technology to fundamentally change the way they do business. The challenge here is that many companies don’t think of this as a technology innovation activity, but rather as a sourcing activity. They let their purchasing department manage the innovation. Now, I like the people in purchasing, but their processes typically are not optimized for managing innovation contracts. They usually want to negotiate and manage a contract with a fixed and specific definition of what is being purchased, a specified schedule, and no changes. However, when conducting open process innovation, there is only a general description of what must be done – the details must be discovered, the timing of many activities is unpredictable, and there are numerous changes. It is not surprising that chaos, frustration, and animosity are often the by-products of this approach. So what should businesses do? They need to create a process or procedure for how process innovation contracts will be managed. They need to train the purchasing people who will be responsible for these contracts in the nature of innovation and how they can accelerate it and refine it with the terms of the contract. In many cases, a process innovation contract will also require the oversight of an in-house technical expert. The roles of that individual with respect to supplier interaction and direction must also be clearly defined. The last area of open innovation is the use of an innovation partner to expand your products into new markets. Again, may companies have at least tolerated this if not out-right promoted it for years. They create a distribution network and let the distributors becomes the experts on product application in their local market segment. A recent twist on this approach is the creation of an open platform that allows others to create applications that they sell using the platform as a foundation. The more items they sell, the greater the need for the basic platform. A perfect example is the App Store at Apple. The typical challenge in this area has been one of managerial neglect. As long as the distributor kept ordering product, the parent company often did not pay much attention to how the distributor sold the product. The distributor may make modifications to the product or prepare additional product literature that is customized to the local application. That was not of concern to the parent company. What is missed here is that one distributor’s good idea may be of value to other distributors in other markets, but often there is no avenue for sharing that information. So what should a business do? Open up a forum, either face-to-face or online, where distributors and retailers can share their ideas and get credit for them. Unless there is “something in it” for the distributor, there is no incentive to share ideas. This innovation forum should reward and recognize innovative applications on a regular basis. The concept of open innovation is not difficult to understand. It just isn’t something that most companies do. The organization and management systems do not encourage or reward it. (1) Chesbrough, Henry William (1 March 2003). Open Innovation: The new imperative for creating and profiting from technology. Boston: Harvard Business School Press. Well if you remember back to your middle school geometry class you learned that the ratio of the circumference of a circle over the diameter always equalled the value for π, 3.1415926…. And unless you are an engineer or scientist, you probably never used that useful piece of information on anything since you took the SAT exam. This past Saturday was PI-Day because the date represented the first five digits of PI, 3/14/15, and at 9:26 am we had eight digits of pi. By now you are probably thinking I was the inspiration for the Big Bang Theory TV show. But I really do find that pi is an inspirational number for innovators. Not the actual value of pi but the concept of certainty and infinity mixed together. The ratio of the circumference divided by the diameter for every circle is always pi. It doesn’t matter how big or small the circle. It doesn’t matter what part of the world you are in. It doesn’t matter what the circle is enclosing or representing. The value is always the same. And yet the value is infinite. There are endless possibilities for the value of pi. How can that be? Pi is an irrational number. It cannot be represented with a finite number of digits or a common fraction. The digits to the right of the decimal point have no repeatable pattern. The precise value of pi is only limited by how far you want to go with your division. I went out to the first eight digits and sent a tweet. There is a website that has the first one million digits to pi – and there are still more digits after that. 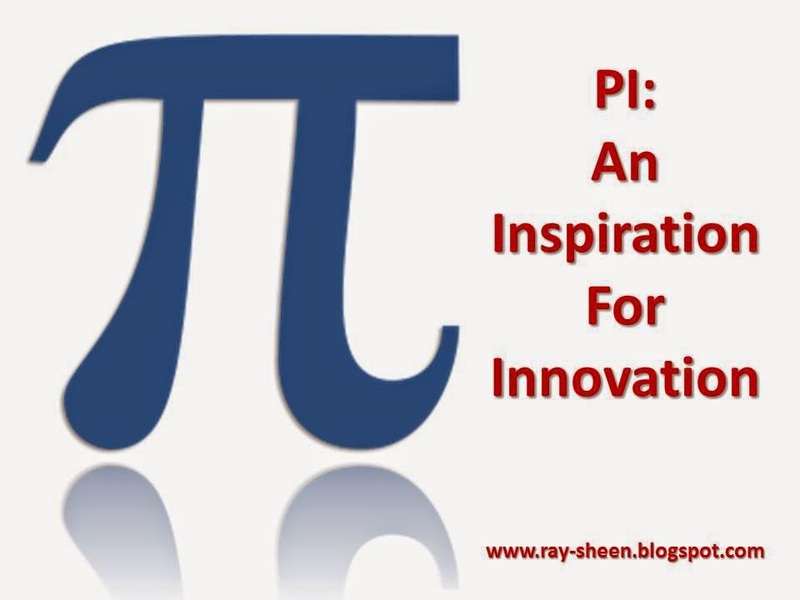 So why is pi an inspiration for innovation? It reminds me that innovation can occur even in the standard everyday things that are part of our life. The ratio for the circumference over the diameter is always the same but the actual number can change by just looking past what you have right now. Let’s take an example. For thousands of years people moved stuff around on land in carts drawn by horses and oxen. Then came the innovation of steam and soon there were locomotives pulling carloads of stuff across country. Numerous smaller innovations happened with locomotives and rail cars to improve their capacity, speed, and reliability while lowering costs. But this innovation required rails to be laid in order to get stuff where you wanted it to go. Something else was needed and a new innovation using an internal combustion engine with the cart became another method for moving stuff was available, the car and truck. Again multiple innovations have continued to improve speed, capacity, and reliability while lowering costs. Of course we also have the innovation of powered flight which moves stuff even faster across long distances. And who knows what the next innovation may be. The basic function is unchanged – move stuff from one location to another, but innovation has been constantly changing and improving how that is done. That is just one field. There is also tremendous innovation that has occurred over the centuries in agriculture, medicine, household appliances, and the list can go on and on. The function that is served by the innovative product is the same as earlier products, but the innovation finds a better way to do that function. Just like the ratio of the circumference over the diameter stays the same for every circle, but the precise value for pi can be continually refined and improved. So when you want to noodle about a new innovation, you don’t have to start reading science fiction and imagine what life would be like in a galaxy far, far away. Just take a current, everyday activity or function and try to find the next best way to do that. Assume that for everything we do in life, there are an infinite number of ways to do it. Just go to the next one and see if it can make life a little easier, faster, cheaper, or more fun. It is like finding the next digit to the answer for the value of pi. 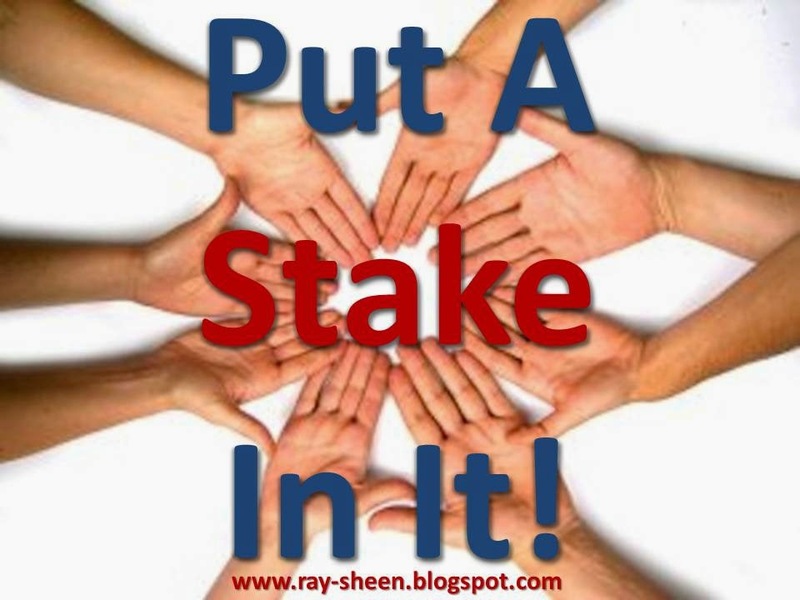 Put A Stake In It! I was recently asked a question about the role of stakeholders in project closure. This is a great question. Many projects get close to completion and then fumble at the end. The project doesn’t formally close; people just stop working on it. Deliverables are almost, but not quite, completed. Project records and archives are not consolidated and made searchable. While some individuals may have personal learning from the project, formal lessons learned are not identified and disseminated throughout the organization. This failure can be directly tied to a failure by project stakeholders. There are many different stakeholders on a project. The identity and quantity of stakeholders varies based upon the goals of the project and the project management methodology. For the context of project closure, there are three categories of stakeholders. One category is the customers or users of the project results. The second category is the sponsor or senior managers who provide project oversight. The third category is the project team itself. Each of these categories has a unique role and responsibilities during project closure. Some individuals may be in multiple categories; but that is because they have multiple roles on the project. For example, a member of a project team may also be the user of the project result. Let’s look closer at each category. These stakeholders typically have a leadership role at the beginning and end of a project. At the beginning they must set the requirements or expectations for the product, service or result created by the project. 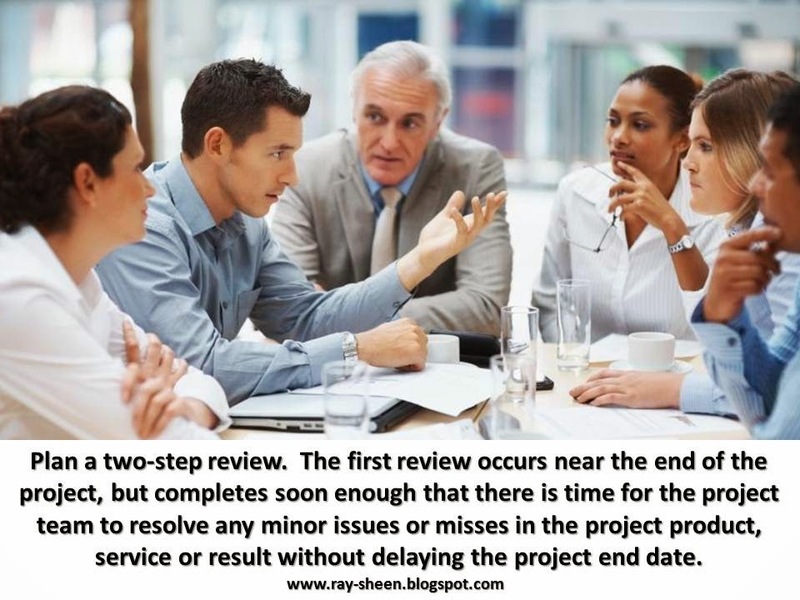 At the end of the project, when project closure approaches, they review and either approve the project results or reject them. Depending upon the complexity of the project result, this review may take a significant amount of time and effort and should be an identified activity in the project plan. The responsibility of the stakeholder is to engage with the team and do a thorough review in a timely fashion. Several problems can occur with these stakeholders. They are listed below with solutions. · Often during the review of the project result the stakeholder will identify something that is not satisfactory to them. In fact, I now expect that to occur. Suggested solution: I normally plan a two-step review. The first review occurs near the end of the project, but completes soon enough that there is time for the project team to resolve any minor issues or misses in the project product, service or result without delaying the project end date. · A second problem is the stakeholder who keeps asking for, “One more thing ….” This will lead to scope creep. Suggested solution: A technique I use to limit this effect is to create a “Punch List.” This is a list of specific items that must be completed. When those items are done, the project deliverables are complete. · A change of stakeholder from the beginning of the project until the end of the project leads to a shift in the user requirements expectations. Suggested solution: Document the requirements at the beginning of the project. If stakeholders change during the project meet with the new stakeholder to review the requirements. If using a stage-gate methodology, review the requirements at the beginning of each stage. · Stakeholder does not conduct a thorough review until after the project is terminated. At that time they find critical defects but there is no team available to work on these issues. Suggested solution: Ensure the commitment from the stakeholders to do a review before the end of the project. Provide a test/inspection plan for them to use that demonstrates all aspects of the project product, service or result. The role of these stakeholders is normally defined within the project management methodology. They often are responsible for approving the project and setting project priority. They may conduct periodic reviews or gate meetings. Normally they are also responsible for providing timely access to the resources needed to complete the project. At the end of the project, there is usually a final gate review meeting and a reassignment of resources. This leads to the problems listed below and the suggested solutions. · The disappearing project team occurs when core and extended team members are reassigned before their work is complete. The activities at the end of the project are often documentation or administrative in nature; which some people feel is not important. The stakeholders are anxious to assign the team members to other projects that have needs. Suggested solution: Stakeholder should conduct a functional review to ensure completion of all functional activities before reassigning resources. · The final gate review never occurs. The absence of this review means that a formal handoff of responsibility for issue resolution from the project team to the sustaining organization does not occur. 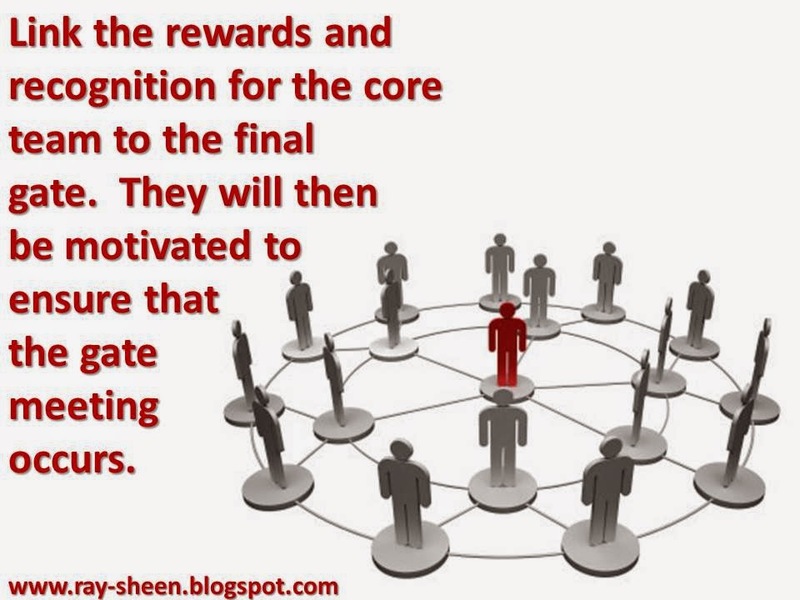 Suggested solution: Link the rewards and recognition for the core team to the final gate. They will then be motivated to ensure that the gate meeting occurs. · Lessons learned session is not completed and the results disseminated throughout the organization. The stakeholders do not require a retrospective look at the project to build on the good points and improve the weaknesses in the approach. Suggested solution: In my experience this session will not occur unless the stakeholders demand a lessons learned report from the project team. Therefore, demand one. Project team members are also project stakeholders. Their role at project closure is to complete all of the closeout activities. They need a plan for closure and the commitment to implement the plan. Many times they are already thinking about their next project or next job, and they closeout activities are neglected. · The project team needs a plan for closure and transition. 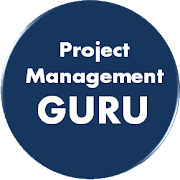 Often the project plan just goes to the completion of the key deliverables and then stops without closing down the project activities, such as completing documentation, archiving project records, conducting a lessons learned session, and resource reallocation. Suggested solution: The project management methodology must spell out the need for the closeout and transition plan. When the project plan is approved, the senior management stakeholders must ensure that portion of the plan is appropriately staffed and scheduled. · Core team members transfer off the project before closure. Suggested solution: A strong core team will often hold each other accountable to ensure that all work is done as the project approaches closure. Another technique I have used is to link rewards and recognition to full project closure. The core team incentives do not begin for any of them until the project reaches complete closure. When stakeholders engage and fulfil their responsibilities through closure, the probability of project success is increased in addition to the opportunity for organizational learning. Most organizations that I work with require a Return on Investment (ROI) calculation before making a decision to start an innovation or new product development project. This makes sound business sense. We should consider the cost and benefit of a project before undertaking it. But with innovative new products, these ROI techniques can sometimes deceive us. The problem is that the most commonly used ROI techniques are built upon a set of project conditions that often are not valid for your innovation project. If those conditions are not understood and accounted for, the wrong decision can be made. You may choose to do a project you shouldn’t do, choose not to do a project you should do, or take the wrong approach for a project. 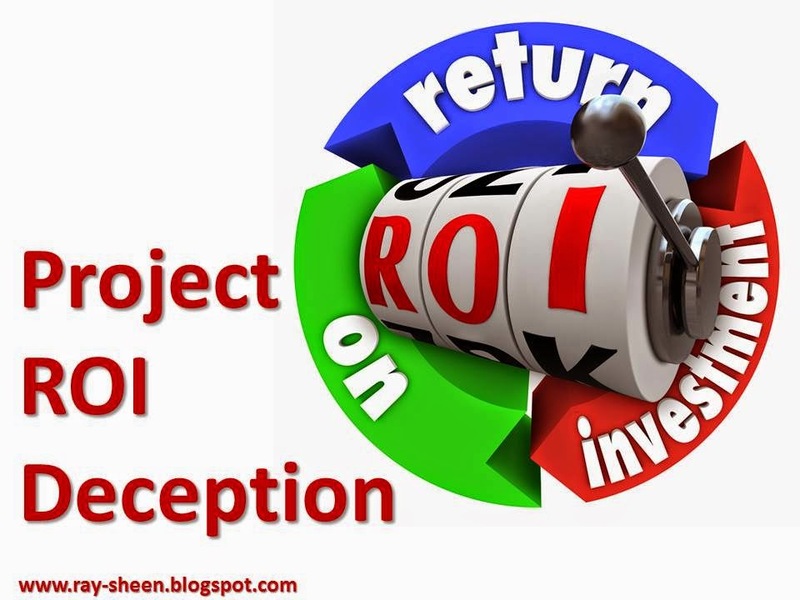 Let’s look at the most commonly used project ROI measures. The Breakeven Analysis places the emphasis of the ROI calculation on the size of the market opportunity. Breakeven Analysis answers the question, “How many units must I sell to generate enough money to pay for this project?” It is determined by dividing the cost of the project by the gross margin of a unit of the product. If it is likely that you can sell more than the breakeven point; do the project. If not; don’t do the project. So how do you estimate the size of the market? This is one where I recommend that you do a three point analysis, best case, worst case and most likely. Consider the opportunity and risk with each case. But don’t overlook the need to stimulate demand. You can create a market with advertising, product placement, endorsements, and marketing events. Innovative product development projects need to be about more than just the cool technology. Include in your product development project the promotion efforts to make your product go viral in the market. The Payback Analysis places the emphasis of the ROI calculation on time to market. Payback Analysis answers the question, “How long until I have generated enough money to pay for this project?” It is determined by dividing the cost of the project by the amount of gross margin the new product sales generate every month (or year, or day, or fortnight). The answer is the number of months until payback. The business must then decide if they can wait that long to get all the money back. There are two points of deception with this technique. The first is the cost of the project. The easiest way to get a rapid payback is to have a very small project cost. Of course that typically means that you won’t do a truly innovative new product, but instead just make a minor incremental improvement on an existing product. The second point of deception is that Payback Analysis doesn’t take into consideration what happens after the payback point in time. Do product sales grow exponentially or do they flatten out and quickly die off? 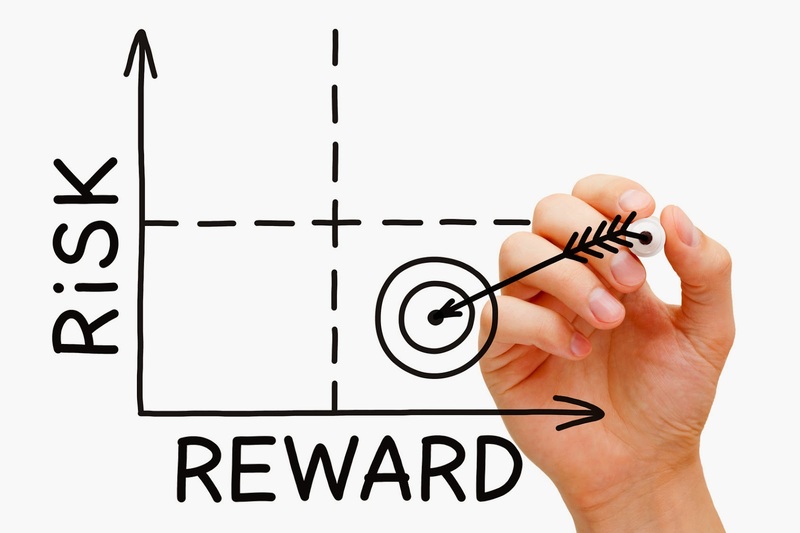 We don’t know with Payback Analysis, we only know how fast we earn our money back. With these inherent deception points, why would anyone use Payback Analysis? If your company is in a cash flow bind, Payback Analysis is very helpful. But if you are not strapped for cash, using Payback Analysis to decide which project to do will almost always decide against innovation. The Payback Analysis is the most risk adverse of the ROI calculations. Frankly, I don’t recommend it for new product development. It is good for incremental improvement projects and “one-off” projects; but it does not adequately consider the benefit of new innovation. I will discuss Net Present Value (NPV) and Internal Rate of Return (IRR) together since they use the same equation, just solving for a different variable in that equation. These techniques consider the long term value of the project. They are a time value of money calculation. They sum the incremental cost of the project and the incremental benefit of the project over some period of years and discounted at some time value of money discount rate. Using the formula you either solve for the value using a fixed discount rate, or you solve for the rate which results in the cost being equal to the benefit. A high value or a high rate means you have a good project. The point of deception in this technique is determining the window of opportunity. The calculation assumes some number of years of sales that is usually based upon an estimated product lifecycle. What is often overlooked is the effect of competition on the sales during the lifecycle. Innovative products normally have little or no competition at the beginning of their lifecycle. The gross margins at this time are usually higher than later in the life cycle when competition is in the market. I have often heard the discussions about whether the product life cycle could or should be extended and additional years added to the calculation. I seldom hear the discussion about what could be done to radically accelerate the project so that the time period in which benefits start is much sooner. Those early benefits are during the window of no competition. The company can dominate in the market and lock is such a commanding share that competitors look for other opportunities. When using NPV or IRR I strongly recommend that you challenge the team to provide an alternative plan that cuts the development time in half. Yes, this plan is likely to cost more. But innovative projects often are multi-year projects. Getting to market a year sooner with no competition can be extremely profitable, even with the higher project cost. The long time frame used with NPV and IRR can lead to a lack of urgency on completing the project. With that lack of urgency is lost opportunity. So whether it is Breakeven Analysis with its market focus, Payback Analysis with its time focus or NPV/IRR analysis with the value focus; there are potential points of deception to consider. Understand these, account for these, and you will make better business decisions concerning innovation projects.